In case the user account is used to run scripts and you don’t want to expose the password, using public key authentication would be the preferred method. 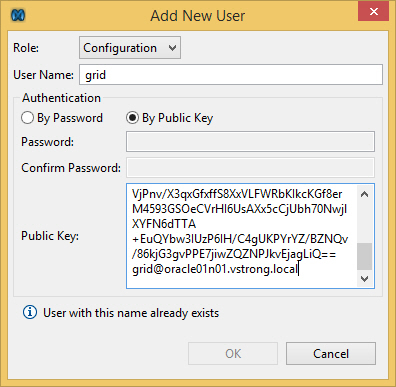 Select By Public Key and paste the user’s public key into the window. good !! It’s very helpful for me !